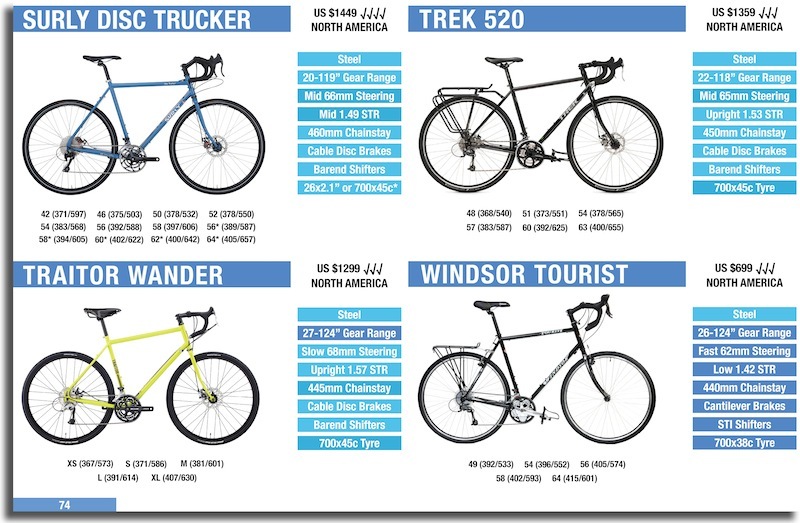 Just days after I published a resource on carbon touring bikes – Salsa has a little surprise for us. It’s the 2019 Salsa Warbird! The Salsa Warbird is intended for gravel racing, but really, it’s so much more capable than that – it’s jam-packed full of bikepacking, bike touring and adventure features. In this article, we’ll go over the frame features of before looking at the specification, weight and price of each of the Warbird bikes. The Warbird v.4 carbon frameset is 100 grams lighter than the previous version, with updates to the chainstays, bottom bracket and downtube. It has been modernised to the 12mm thru-axle and flat mount brake mount standards too. You’ll find the front end is a little bit longer on the new frames, but this length is offset with slightly shorter stems. The steering speed (trail) has been increased in the smaller sizes and decreased in the larger sizes to offer a more uniform steering feel for riders of all heights. Speaking of rider heights, the standover clearance on the smallest frame size has been dropped by over 4cm. The frame is shorter and lower too, resulting in 142cm (4ft8) tall cyclists now fitting onto the Warbird. The big news otherwise is that the Warbird now adds the ability to fit two different wheel sizes; either 700c x 45c or 650b x 50c. The latter size permits more aggressive tyre treads with lower pressures to optimise for off-road grip. You may prefer this grip for trails or the extra volume for comfort, but either way, 50c/2.0″ MTB tyres are certainly slower on hardpack dirt roads. The Warbird has provision for 2-3 bidon cages in the front triangle, one under the downtube and one on either side of the fork. There’s a top tube bag mount for those who like the idea of reducing strap wear. As with the previous Warbird, the frame fits fenders and a rear rack provided you use the Salsa Post-Lock seat collar. One of my favourite features of the Warbird frame is the internal sleeved cable routing which makes changing your cables so much easier! Modern gravel suspension forks are designed to fit the Warbird – it’s compatible with the Fox AX, MRP Baxter and Lauf Grit. The carbon fork that comes with the bike has 3-boss mounts for cargo cages, lowrider rack mounts and internal dynamo cable routing. The 2019 Salsa Warbird Carbon with Shimano Ultegra Di2. The crown jewel of the Warbird range comes with a Shimano Di2 electronic groupset, 1728 gram DT Swiss wheels (with their ratchet drive hub) and carbon Salsa components. 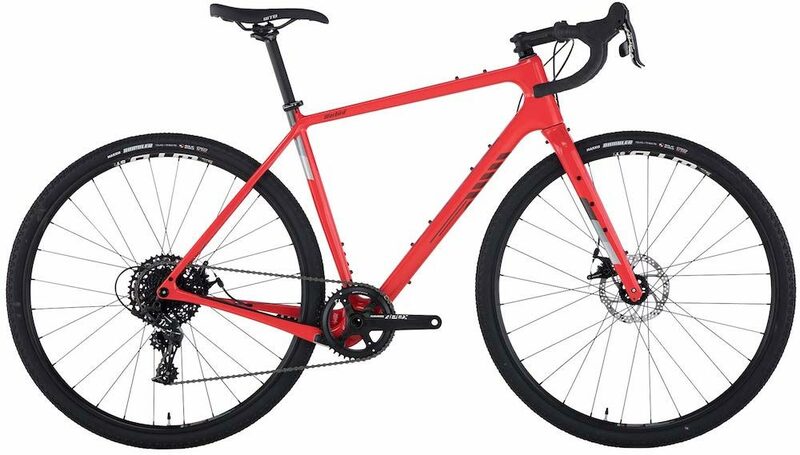 The 29 gear inch climbing gear (34-32t) is a little high for more mountainous terrain, but you can drop this to 24 gear inches by swapping the chainrings to Absolute Black 46-30t and the cassette to the Ultegra 11-34t model. The 2019 Salsa Warbird Carbon with SRAM Force. If you’re after a carbon off-road tourer from the get-go, the Warbird Force is it. It comes with some WTB KOM Light wheels (~1750 grams) in size 650B that are fitted with 47c WTB Byway tyres. The 1:1 climbing gear is 27 gear inches, but by switching the front chainring to a 38 tooth, you can drop this to 25 gear inches. 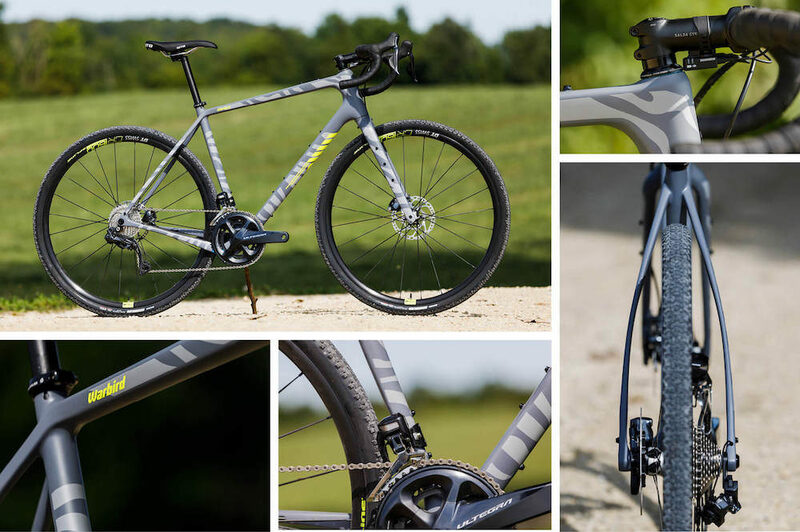 The 2019 Salsa Warbird Carbon with Shimano 105. The best performance-to-price ratio is surely found with the 105 model. You’ll get 1745 gram DT Swiss wheels, hydraulic brakes, 11-speed gearing and the same mid-range Salsa aluminium components as the Force1 model. The US $1000 price difference between the Warbird Force1 and Warbird 105 could easily buy you a second 650B wheelset to crush it off-road too. The 2019 Salsa Warbird Carbon with SRAM Apex. 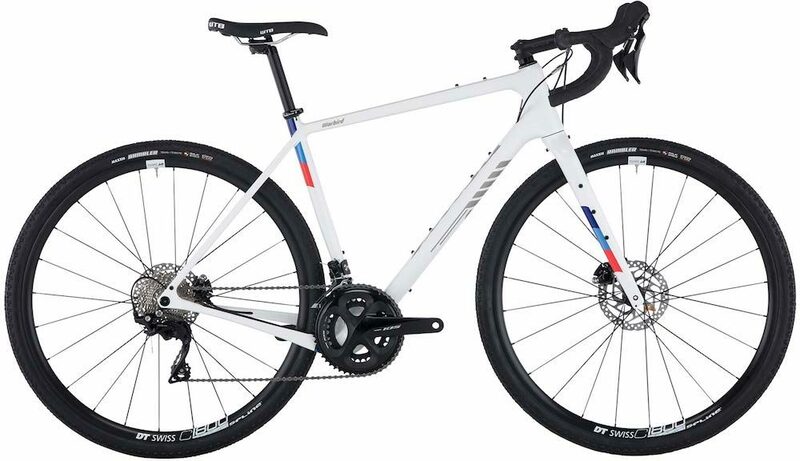 The Apex1 model gets a 1x groupset, some heavier WTB 700c wheels (+300 grams), cable disc brakes (the TRP Spyre-Cs are excellent) and some lower spec Salsa finishing parts. The front chainring can be swapped out from 42t to 40t which will offer a 26 gear inch climbing gear (rather than 27 gear inches). The 2019 Salsa Warbird Carbon with Shimano Tiagra. The only difference between the Warbird Apex and Warbird Tiagra is the drivetrain and shifters. The low gear remains the same (27 gear inches) but the 50 tooth front cog allows for 60km/h rather than 50km/h (at 100RPM). 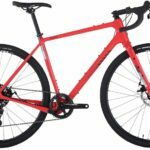 The 2kg difference listed by Salsa on their website is incorrect – there is actually only a 200-300 gram difference between SRAM Apex and Shimano Tiagra. I’d suggest both bikes are closer to the 10kg mark.